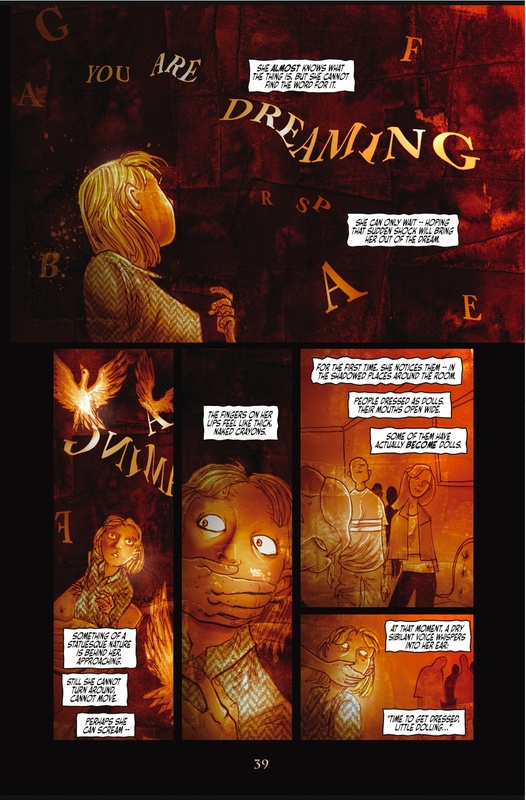 AICN COMICS - THOMAS LIGOTTI'S THE NIGHTMARE FACTORY CONTEST! Send Ambush Bug your nightmares!!! Hey folks, Ambush Bug here. Sorry to disappoint, but there won’t be a regular AICN Comics Reviews column this week due to some of them-thar technical difficulties. But fear not, Faithful Talkbackers, we do have a nifty contest for you all to partake in. 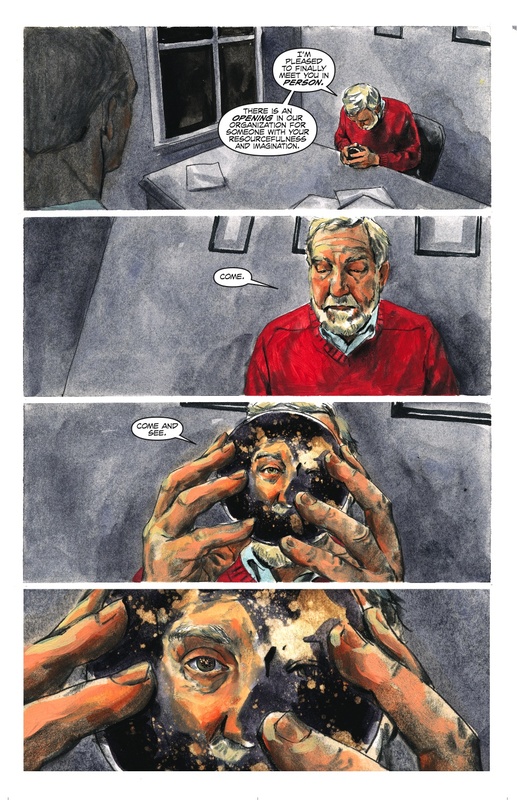 Fox Atomic is publishing another massive original graphic novel presenting four of horror/suspense writer Thomas Ligotti’s best short stories. 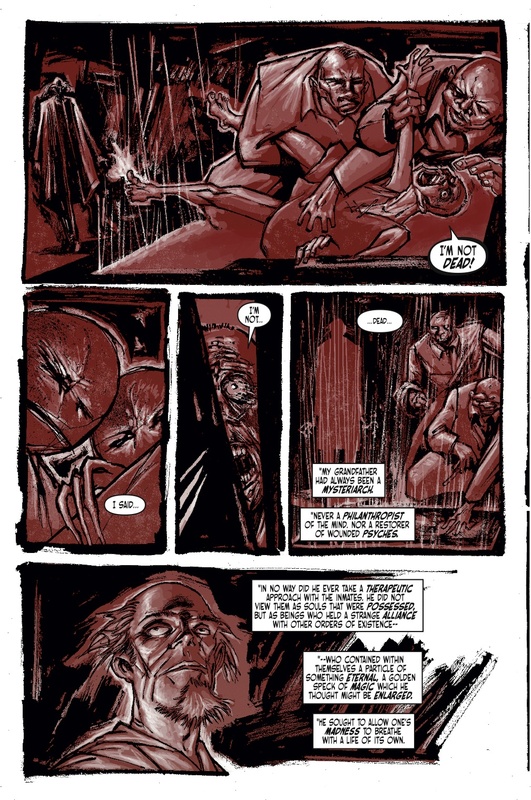 The comic is called THE NIGHTMARE FACTORY, named after a collection of short stories by Ligotti. Fox Atomic has lined up some pretty top tier talent to bring these tales of terror to life. Writers Stuart Moore (one of my favorite Batman and Punisher writers) & Joe Harris (film writer of WHEN DARKNESS FALLS and THE TRIPPER) provide the words. The art chores go to such uber-talent as Ben Templesmith (30 DAYS OF NIGHT, WORMWOOD), Coleen Doran (SANDMAN), Ted McKeever (BATMAN, METROPOL, ENGINEHEAD), and Michael Gaydos (ALIAS). With an ensemble cast like this putting the book together, it’s got to be good. And I’ve read it…is really is that good. Fox Atomic and AICN Comics want to give away ten of these bad boys to ten lucky Talkbackers who are willing to share a deep dark secret. Since nightmares are on tap, I figured it’d be an awesome contest to pick y’all’s psyche and ask you guys to send in the scariest, most pee-inducing nightmare you’ve ever experienced. So send me a SHORT PARAGRAPH (!) describing your worst nightmares along with your postal address. The top ten will be announced at the end of the month and will receive a copy of THE NIGHTMARE FACTORY OGN. Click on the images to the right and the left to see snippets of the artwork in all its glory, and you can read my review of this book in next week’s column. Don’t forget to send your worst nightmares here. Good luck and we’ll be back with more reviews next week.